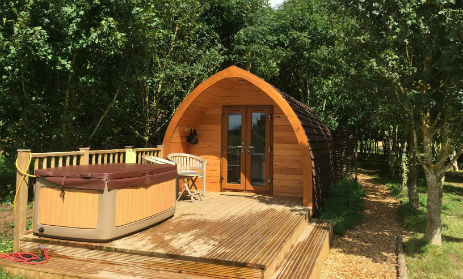 Wootton Park Wedding and Events centre in Warwickshire is also a beautiful setting for glamping, located in its own 360 acre valley of rolling countryside, farm land, woodland and landscaped grounds. 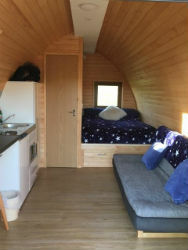 We are ideally situated just 3 miles from Henley in Arden and 7 miles from Stratford upon Avon. Other local towns include Warwick, Leamington Spa, Solihull, Redditch and Evesham and we are just 10 minutes from the motorway. Enjoy sightseeing at Warwick Castle, Shakespeare’s Birthplace, RSC Theatres, Stratford Butterfly Farm, Henley ice cream and the Saxon Sanctuary. 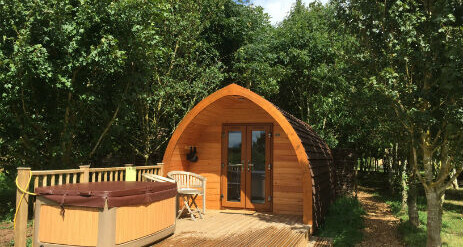 FIRST TREE PODS IN THE COUNTRY WITH HOT TUBS!! 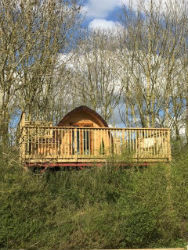 The MegaPods sit 10′ up on stilts in the trees with private hot tub on the decking and expansive views of the countryside around. 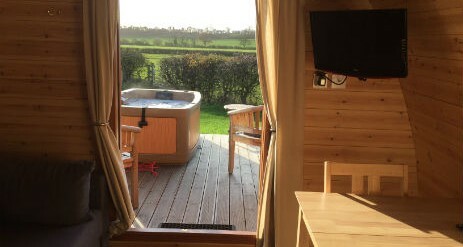 Outside you have your own hot tub on the decking! wet room & towels, kitchenette with microwave, mini fridge, toaster & kettle (we provide a few sachets of coffee, tea, sugar and milk to get you started!) table & chairs, TV & sitting area. 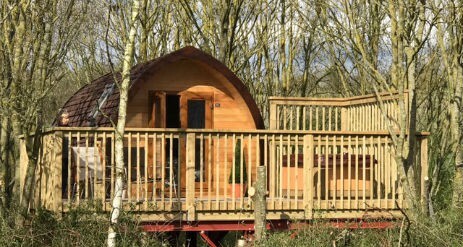 Outside you have your own BBQ and private hot tub on the decking (adults only) with fab and expansive views up to the hills. BLISS! 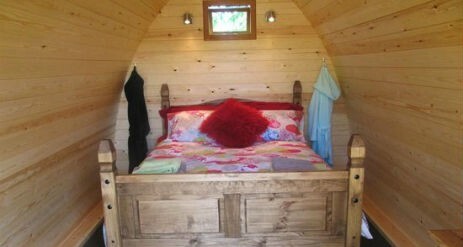 There is a separate shower/loo pod close by to all 4 pods. 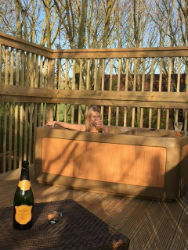 A cooked breakfast and use of the hot tub (adults only) – remember to pack your own swimwear and extra towels and bathrobes. 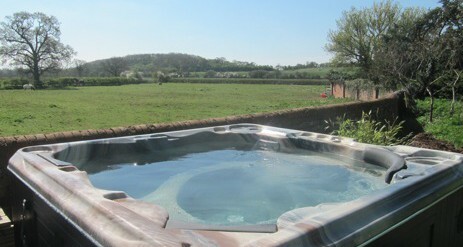 Please note that the hot tub closes at dusk. 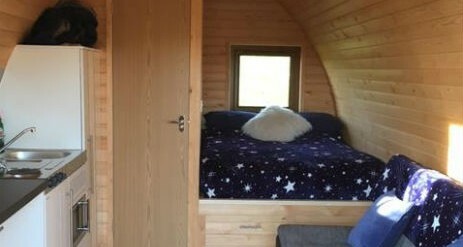 The 4 Glamping pods share the use of 1 large hot tub set inside the garden wall slightly away from the pods (80 metres) for privacy and fab views.